The city walls of the Alhambra have been built - now the gardens are starting to bloom. 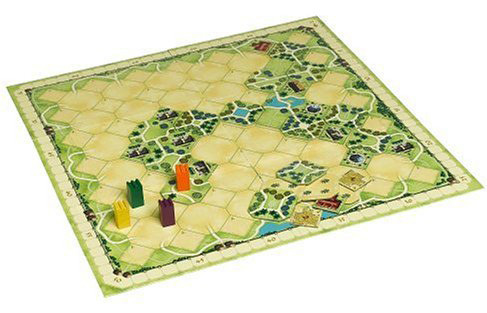 The players lay gardens against the picturesque background of palaces, chambers and arcades. Place your trees skilfully so that you surround the most valuable buildings and win the most points. But take care! With every turn, you are planting your opponent's trees as well as your own. Add a Review for "Alhambra: Gardens"